How You Can Make Your QUINCEAÑERA Believe She’s A Princess In Just Two Minutes. For such a momentous occasion, make your Quinceañera believe that she is a real princess. Arrange for her and her friends to be driven to the church and reception, or any other planned activities in one of our luxurious limousines. 1. Quince años is a special birthday. Having arranged down to the very last detail all of the events, the tiara and the gown, now put the icing on the cake. 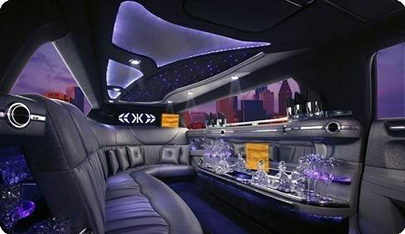 Make the day that extra bit special by hiring one of our top of the line limousines. 2. Travel in comfort and style. We believe that our limousines are second to none in Maryland. Before each outing they are valeted and carefully prepared. Our limousines are spacious with luxurious and comfy leather seating. Equipped with bar area (of course no alcohol at this age), sound system and flat screen television, your daughter and friends can elect to watch some TV, or listen to music while enjoying a cool drink from the bar. 3. Professional chauffeurs from head to toe. All our drivers are professionally dressed, hand picked highly trained and courteous professionals. Her chauffeur will ensure that your daughter and her friends will truly enjoy the day. They will however probably need some supervision as they are still not of age, and their chauffeur will be on hand to supervise and chaperon them wherever they may go. 4. We cater to your needs. At BethRock Limo we have a wide range of vehicles in our fleet for you to choose from. Whether you need a party bus for a large group, a stretch limousine, or a regular sedan for a smaller party, we can provide whatever is needed. Being larger in size, an added bonus is that our limousines can accommodate even the largest of dresses! 5. Flexibility in schedule and numbers. Whatever your schedule we can accommodate any request. Whether you need relatives or friends collecting from the airport, or just need us to drive you to the church and on to the reception, no request is too small or too large for use to manage. 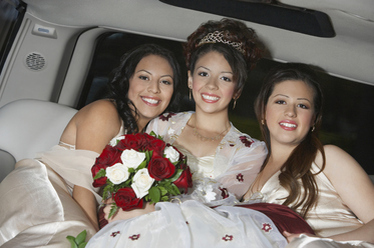 301-825-8833 and allow us to put the finishing touches to your Quinceañera limousine arrangements, or to answer any queries that you may have.